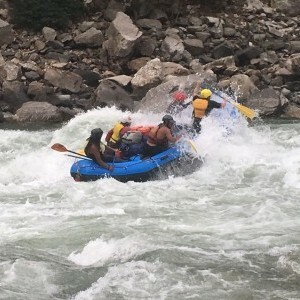 Adventure Hub Nepal (AHN) offers all the major rivers in Nepal to participants of all abilities to rafters and kayakers within your time schedule. 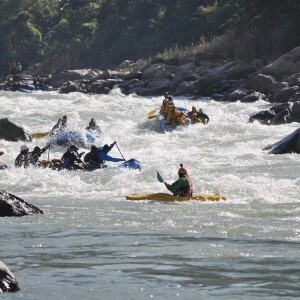 Whichever river you choose to paddle in Nepal from flat water to gnarly grade five rapids you just have look through our river descriptions about every river and choose which one suits you. All our trips are suitable for every individual, be it rafters and kayakers from beginners to advanced paddlers. AHN also organise fishing trips and float trips for people who are interested in this more relaxed type of river experience. Nepal has the world’s best rivers for Kayakers and Rafters. 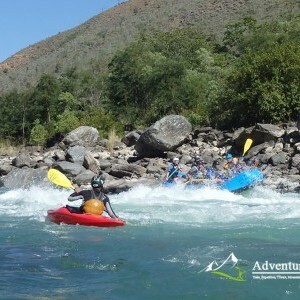 Just to give you an idea it is rated as one of the top 10 places on the planet to go and paddle whitewater. Some say that the rapids are rated in top five in the world. You don’t want to miss out on these amazing rivers. If Nepal is on your bucket list then come and join us for a paddling trip of a lifetime. When you book paddling trips with Adventure Hub Nepal you don’t have to worry about organisation of your holiday. We will cover all that apart from just your travel insurance and international flight tickets. The rest of it we will provide in Nepal. Just think, that you can arrive in Nepal with your suitcase and go paddling on amazing whitewater with everything organised. We have everything you need for your trip except for your personal clothing. AHN provide well trained international and local instructors, trip leaders, guides and all the support crew you need for trip. If you want to explore the Himalayan environment of Nepal one of the best ways is to paddle the rivers that drain from these amazing peaks. Kayak, Raft or SUP board downstream through a cross section of the country’s natural as well as ethno-cultural heritage by paddling. Here at Adventure Hub Nepal we pride ourselves on our client’s safety, providing best service, best instructor and equipment. 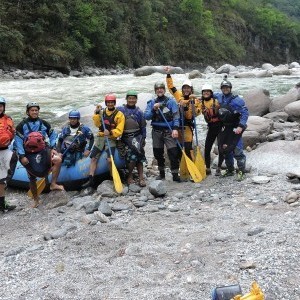 We are the only rafting provider in Nepal that use a satellite phone on every trip. 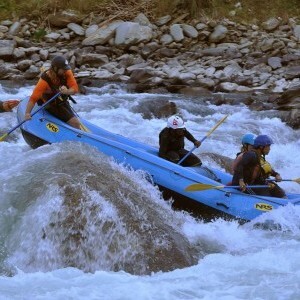 If you are a first-time rafter or want to try rafting and kayaking you can always do that in Nepal. We have every type of river journey in place for people to try out the sport. Below is just a little description on how the grading works in the industry. 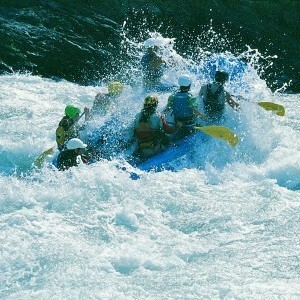 - a range of the latest whitewater kayaks, paddles, pfd's helmets and spraydecks. We do also hire out rafts and catarafts. 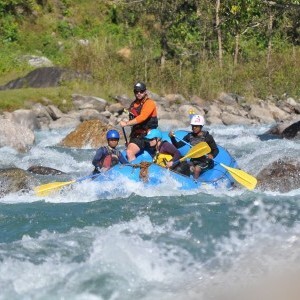 River Grading: River Rafting is divided into five scales according to the international rafting standard. Grade 3: A little bit more difficult longer rapids and irregular features, a good eskimo roll is desirable but not essential. : Kali Gandaki River, Upper Seti River, Balephi Khola River and Trishuli River. 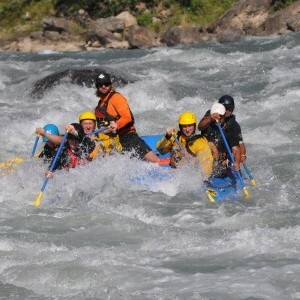 Grade 4: Longer more difficult rapids, line not always easy to see and follow, need a solid eskimo roll. : Kali Gandaki River, Sun Kosi River, Karnali River, Tamur River, Upper Bhote Kosi River, Arun Gorges and Marshyangdi River. Scale 5: Extremely difficult: Thulo Beri River, Arun Gorges Upper Bhote Kosi, River and Modi Khola.